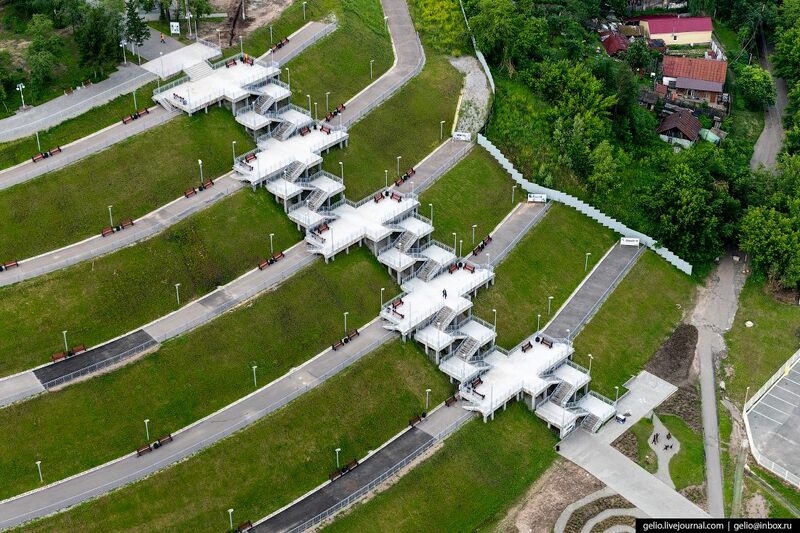 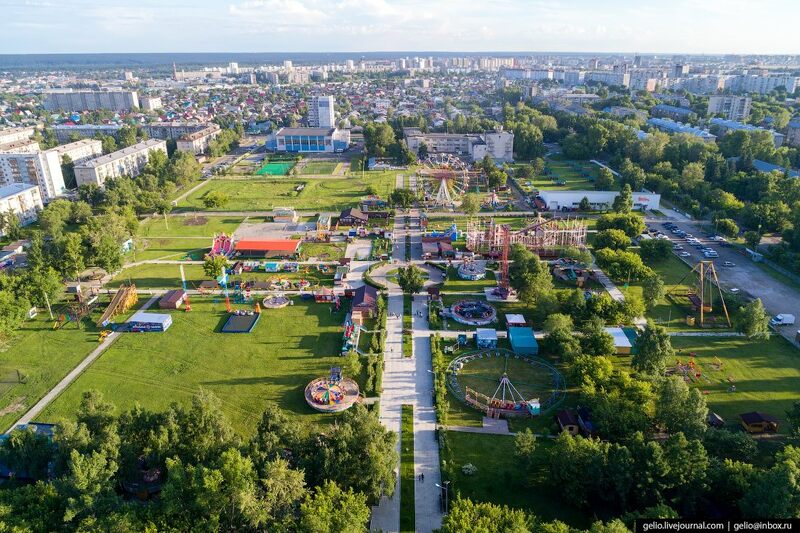 Nagorniy (Highland) Park located on a 175-meter hill. 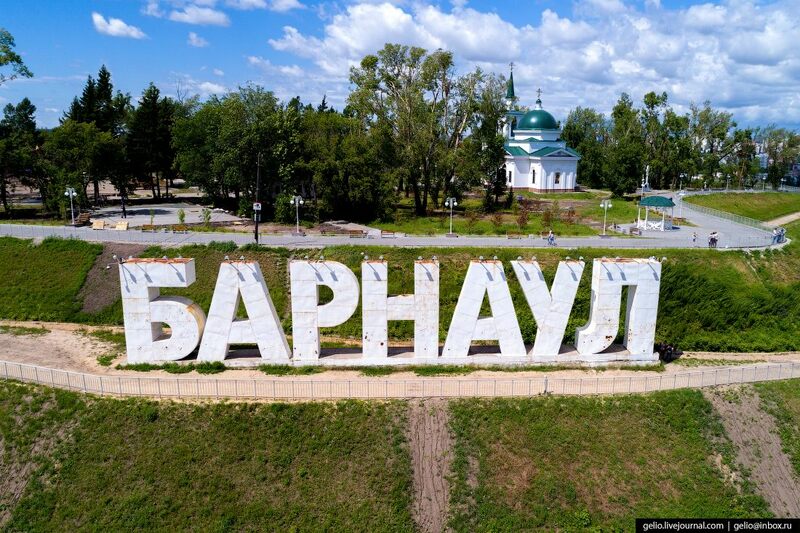 The seven-meter sign “BARNAUL” is installed on the hillside. 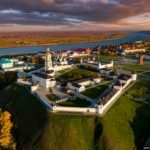 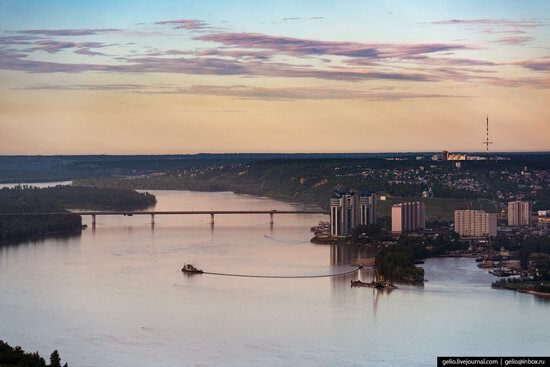 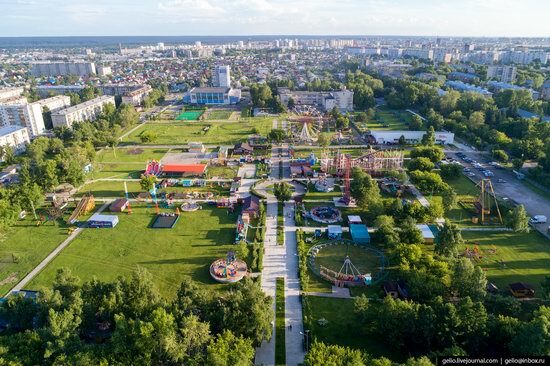 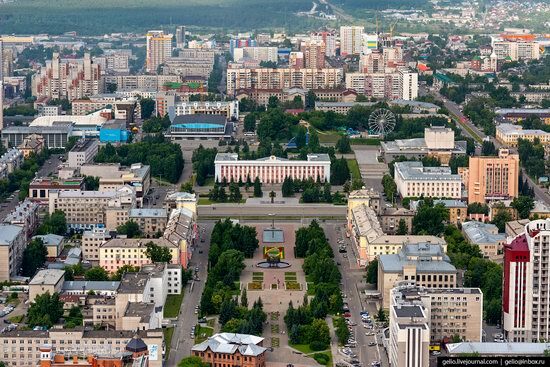 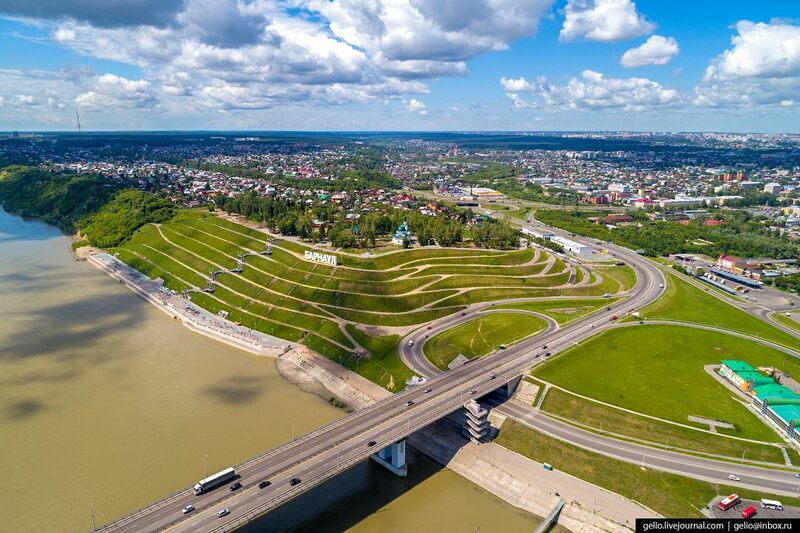 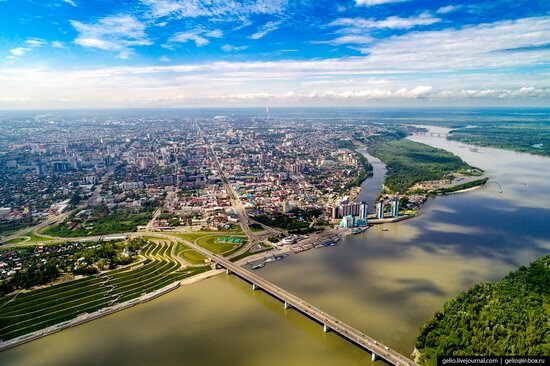 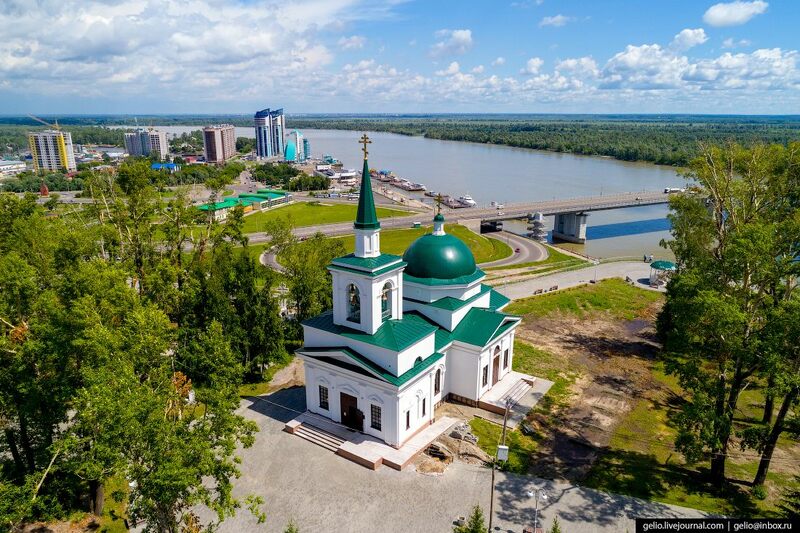 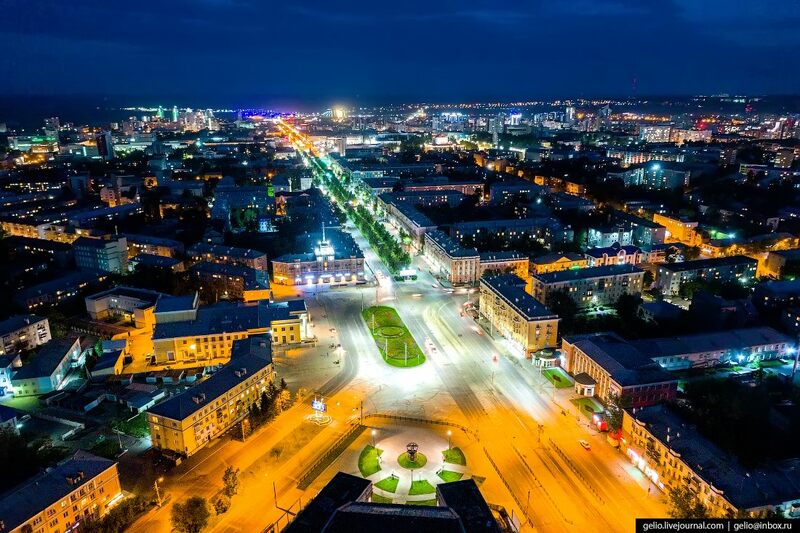 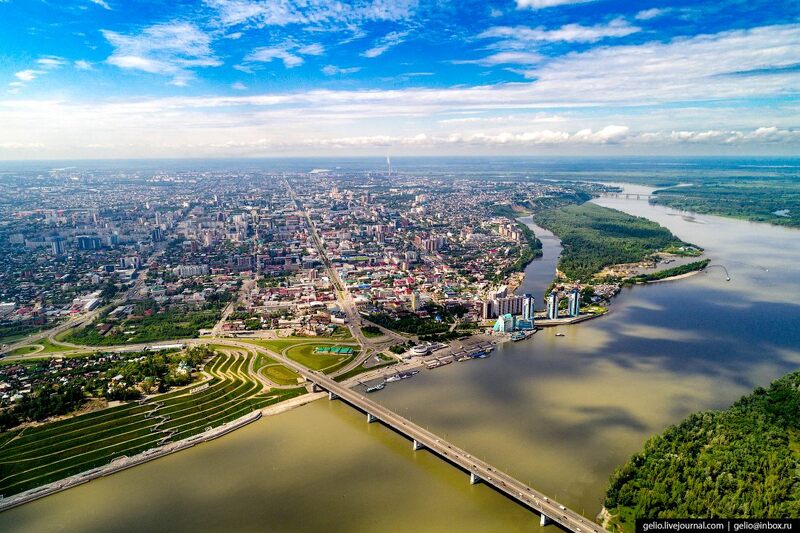 From the top of the stairs leading to the top of the hill, you can enjoy beautiful views of Barnaul. 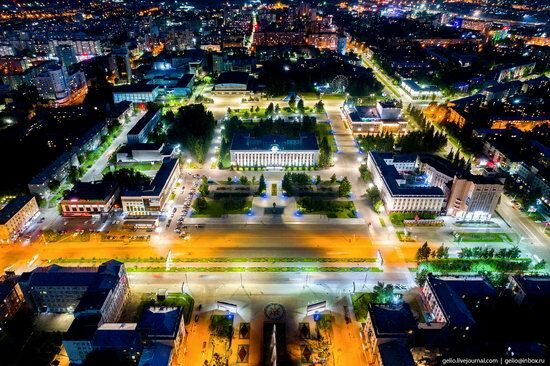 Sovetov Square – the main square of Barnaul. 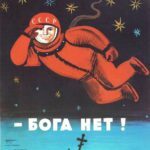 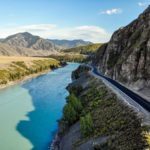 Administration of the Altai Krai. 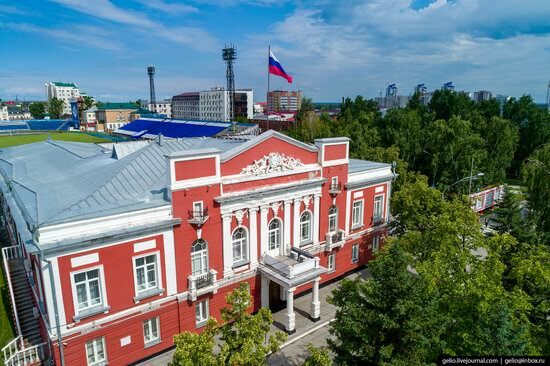 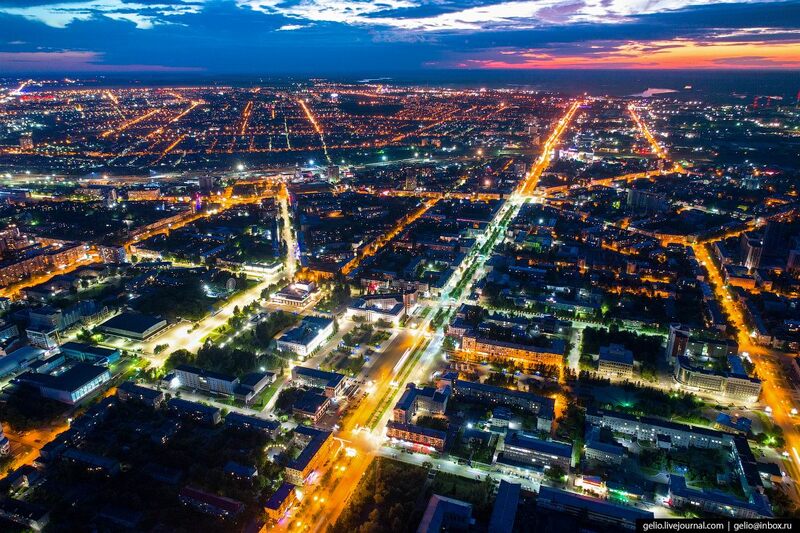 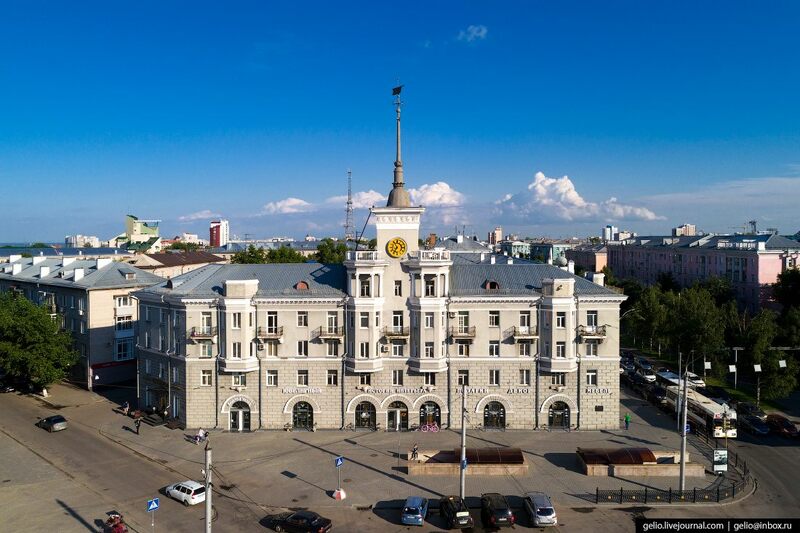 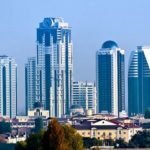 Administration of Barnaul and the City Duma. October Square – one of the central squares and the main road junction of Barnaul. 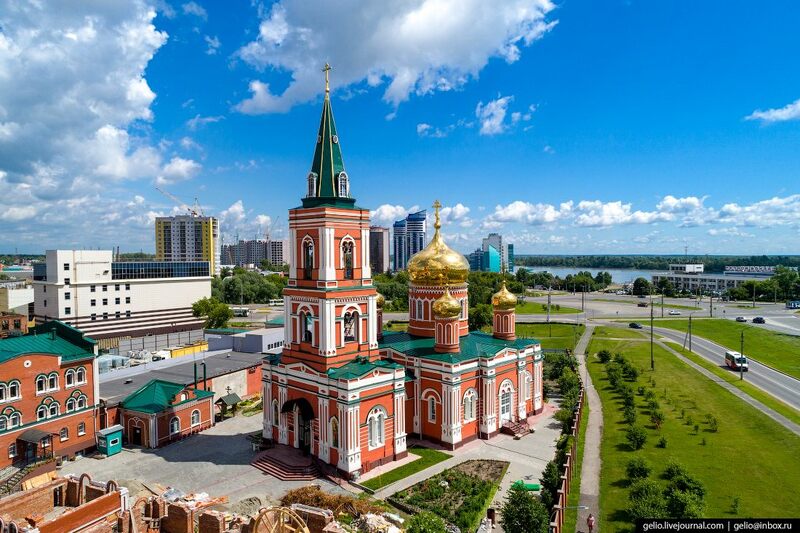 “House with the Spire” – one of the main architectural symbols of Barnaul. 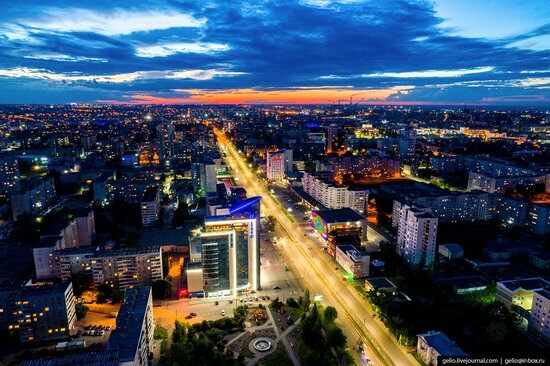 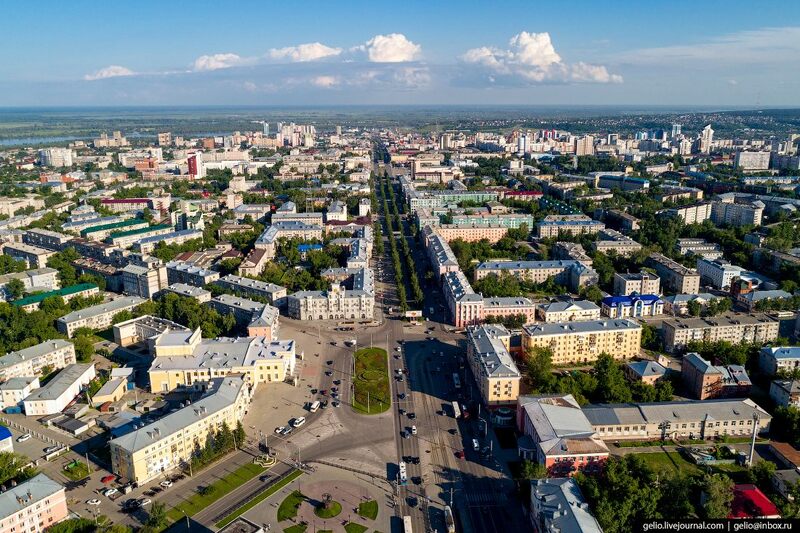 Lenin Avenue – the main street of Barnaul. 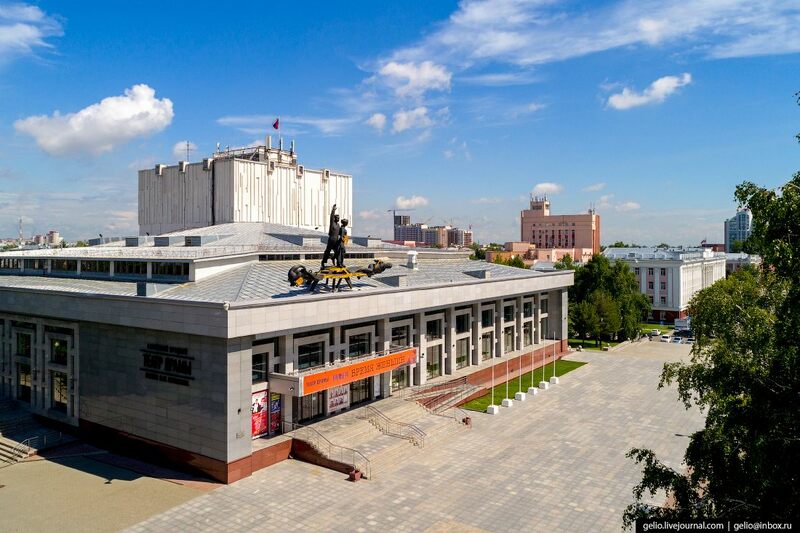 Altai Regional Drama Theater named after V.M. 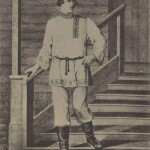 Shukshin. 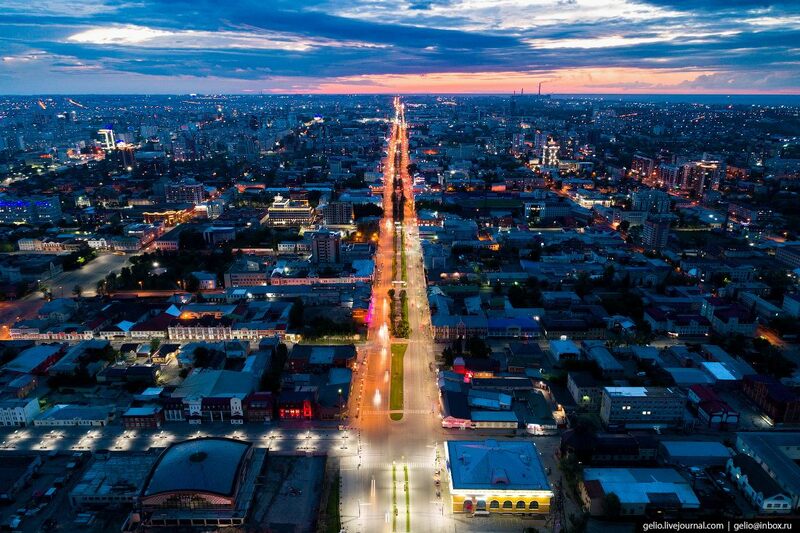 Krasnoarmeysky Avenue – one of the central streets of Barnaul. 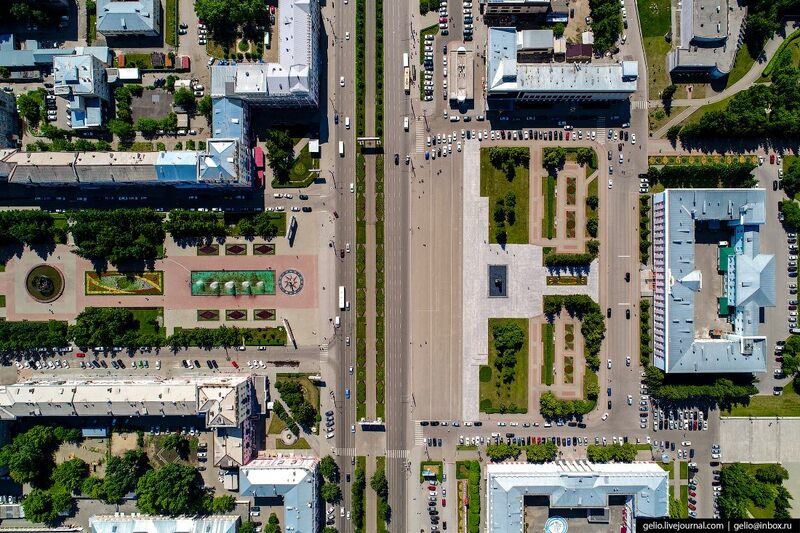 The intersection of Lenin Avenue and Gogol Street. 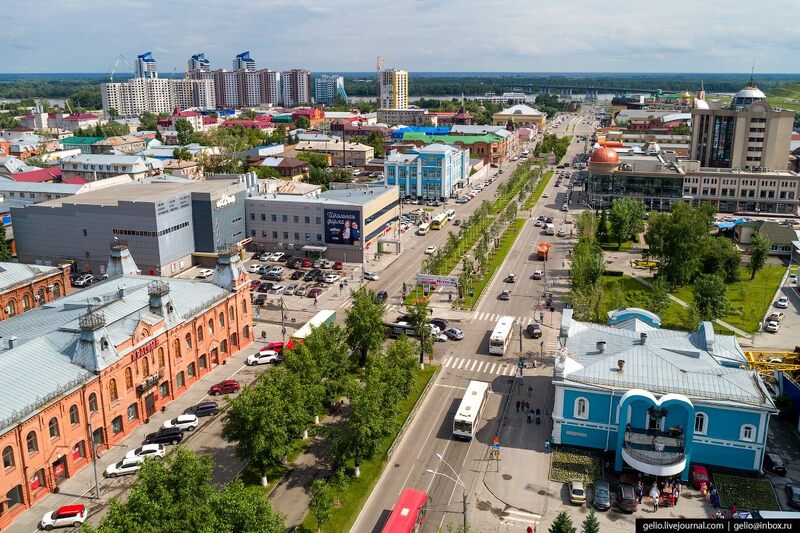 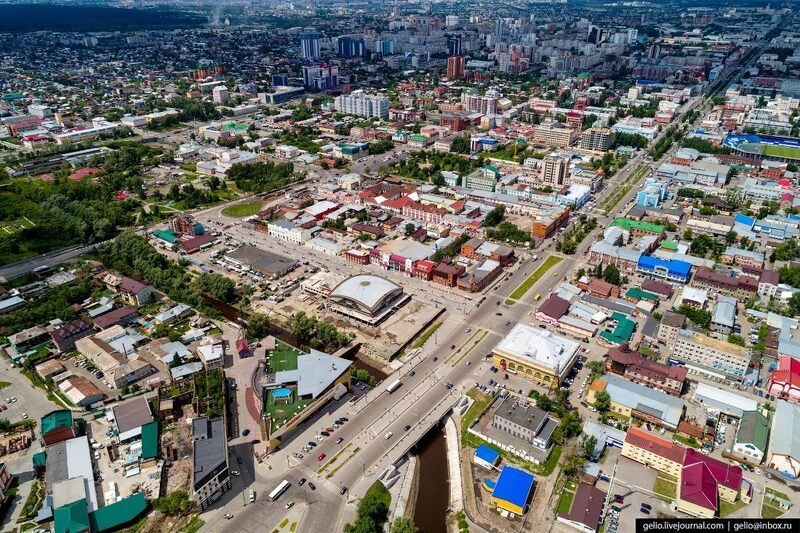 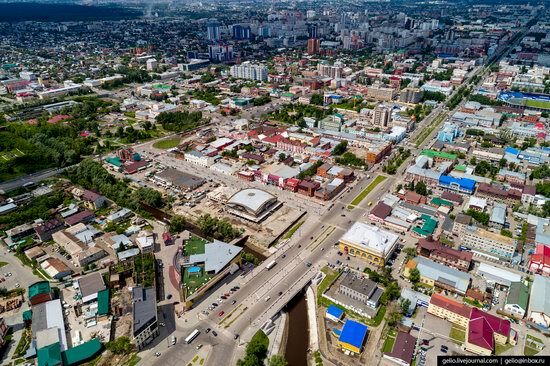 Pedestrian Malo-Tobolskaya Street, which is called the Barnaul Arbat. 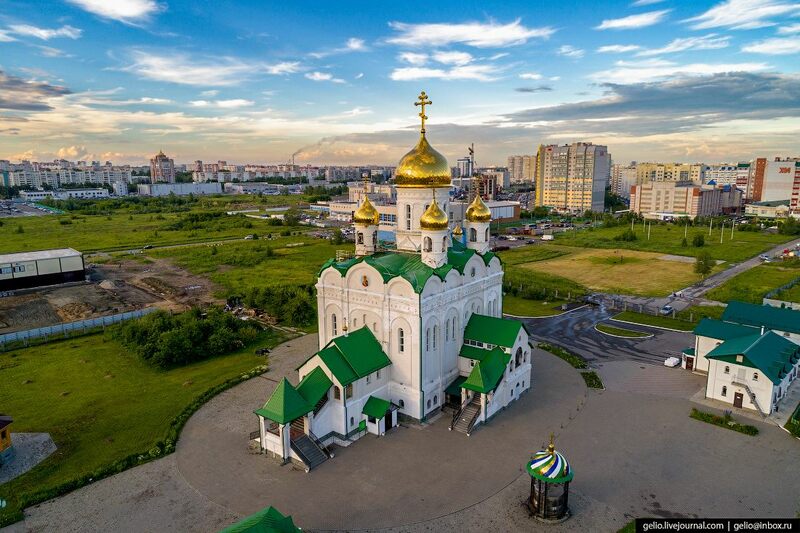 Church of John the Baptist in Nagorniy Park. 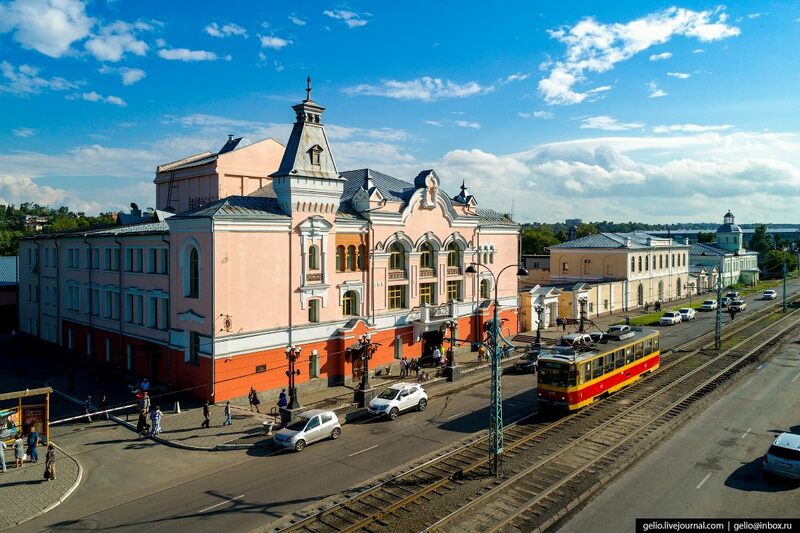 Barnaul Railway Station. 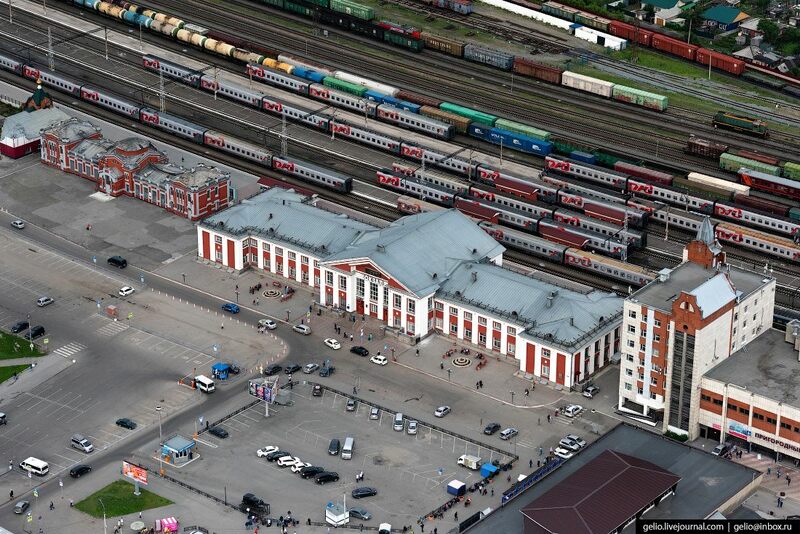 On the left you can see the building of the old railway station (1914). 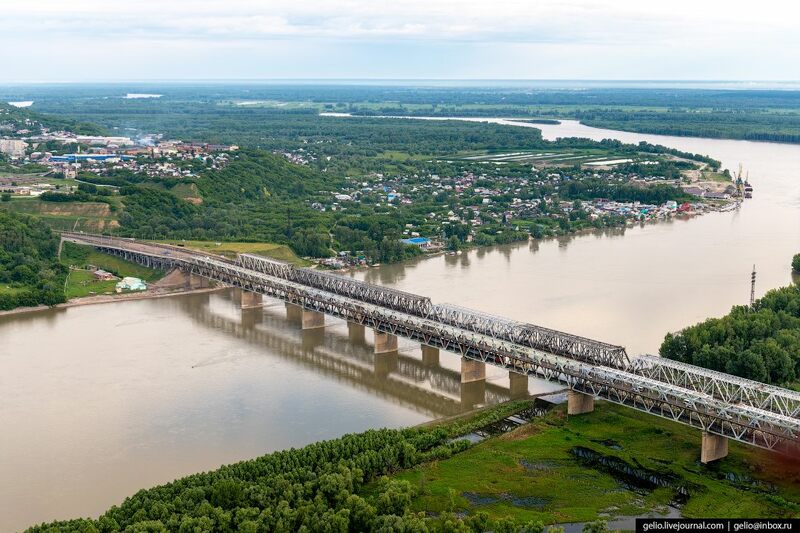 The railway bridge (1915) over the Ob River. 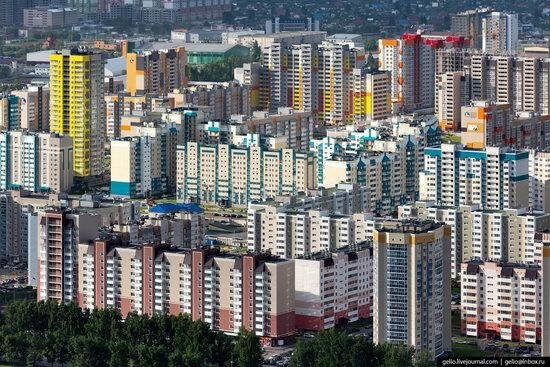 New apartment buildings in the western part of Barnaul. 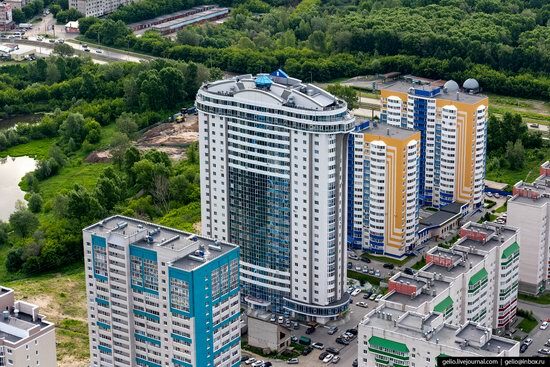 The 25-story residential building on Guschina Street, 150/3 – the highest building in Barnaul. 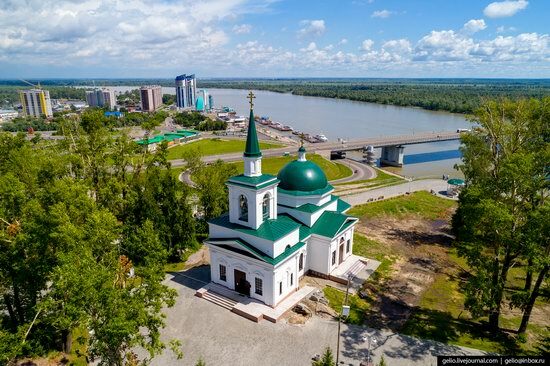 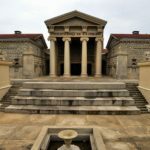 Church of the Apostle and Evangelist John the Theologian (2009). 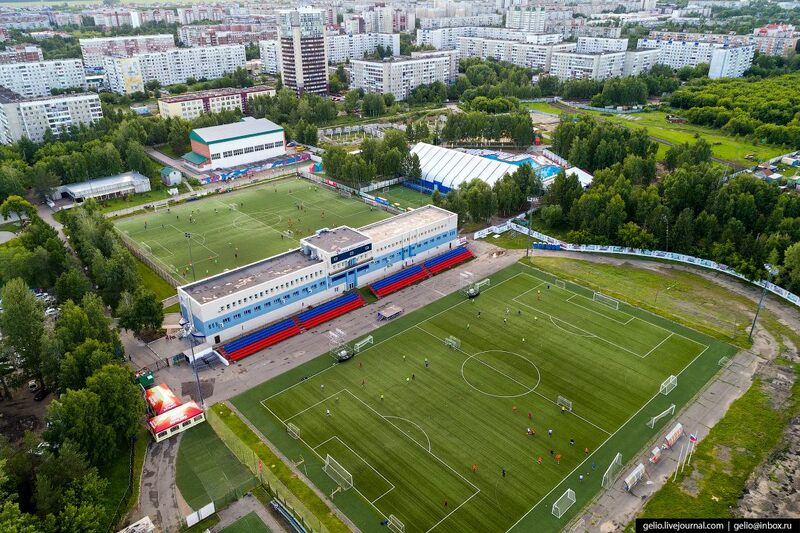 Youth football school of Olympic reserve named after Alexei Smertin. 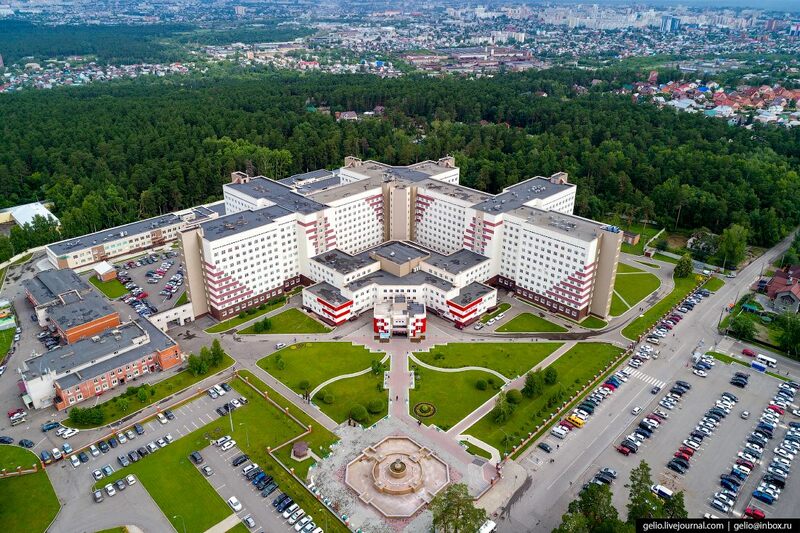 Regional Clinical Hospital – the largest health care institution in the Altai Krai. 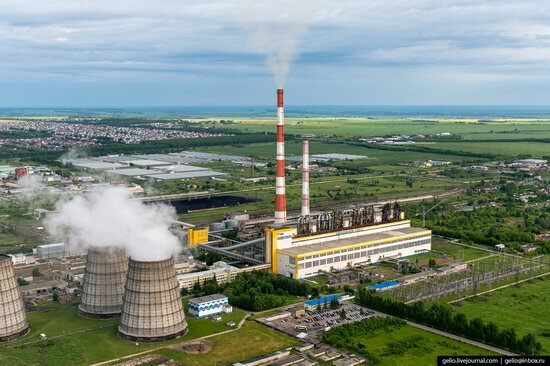 Barnaul Thermal Power Plant #3, which provides half of the housing stock of Barnaul with heat and hot water.